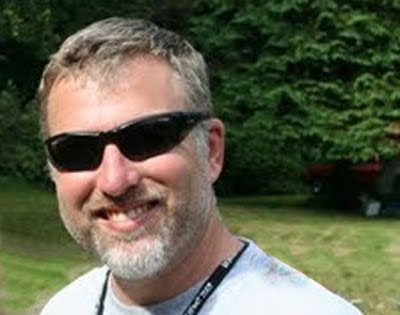 Cliff Barackman (pronounce bare-eck-men) has been doing Sasquatch field research for more than 15 years. Like Bruce Wayne with his utility belt, Cliff has multiple technologies and methods at his disposal. In order to gather evidence, he leverages the use of gadgets capable of night vision, thermal imaging, remote control and digital sound recording. No stranger to media, Cliff has appeared on Coast to Coast AM with George Noory, the History Channel's Monsterquest, numerous podcast radio shows, and as a guest bigfoot “expert” on several local news channels from the Portland, OR and Seattle, WA. 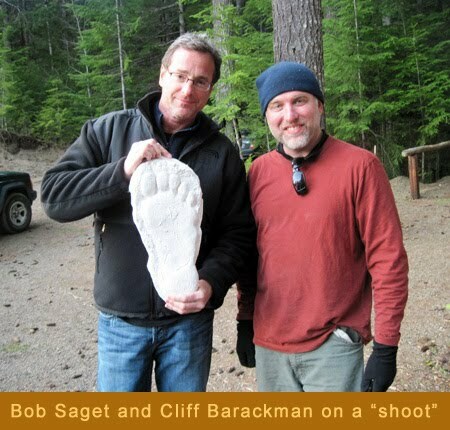 Recently Cliff took Bob Saget Saquatchin' in Washington. We covered it here. 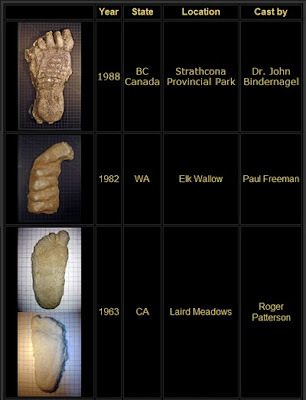 Additionally, he has managed to gather one of the largest collections of footprint casts on the west coast and he has showcased the best ones on his website. The beauty of Cliff's cast/print database is the detail. Every cast is against an inch grid background, each picture can be zoomed with incredible definition. By clicking on each cast, all the major data points are listed; Year, Month, Date, State, County, Location, Discoverer, Caster, Length, Ball Width, Heel Width, Stride, and Depth. Like a Ginsu Knife Commercial--There's More! All these details are paired with must-read narrative. Each cast has a story and Cliff tells it with rich fascination. There's nothing like this on the web, not with the same care and presentation. Go check it out.